I like to tell people I have the heart of a small boy. Then I say it’s in a jar on my desk. How does your workspace look like — and how do you want it to look like? Personally, I prefer to have all my work digitally — invisible if not needed, easy to backup, but also easy to loose. But still, I am thinking of pimping up my workspace. Not necessary to make it a more pleasurable place (if the creative work you do does not make it so, paint and accessories can only do so much), but perhaps to make it more … me. A wonderful and impressive book showing the places some men have created for themselves — and their friends. 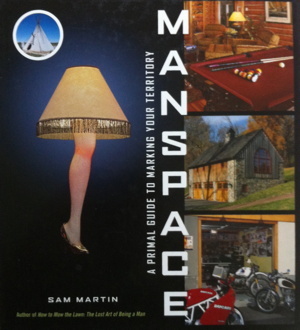 Be it for collecting stuff, entertainment, playing, sports, or working — manspace shows beautiful and impressive places. You do not need to be rich to create a place for your own (and while it deals with places men build or furnished, it should be applicable to any gender). 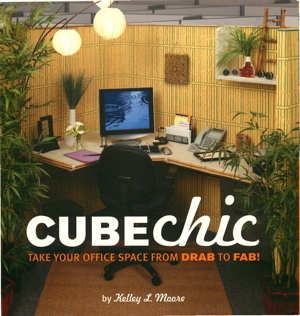 I admit, with most of the decorated cubes in “Cube chic” I want to run away screaming, but there are some nice ideas how you can decorate a tiny place in a certain — consistent — style. I doubt that these designs will be accepted in a corporate setting, but still, and interesting idea. 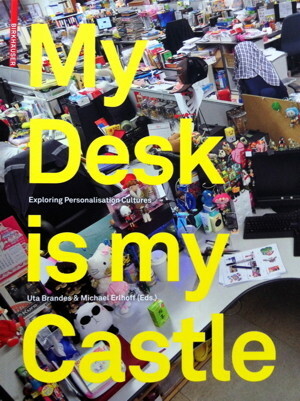 It’s always interesting to have a look at other people’s desks — and this book allows you to look at a large number of different workplaces. Some crowded, some not so much — and with interesting texts that put the images into context. Of course, while books show you (probably) the most interesting places/decorations (and the stories behind them), there are also a lot of interesting photos of workplaces online. or some interesting photos on deviantART if you search, for example, for “my desk”. So, how does your workplace look like — and how do you want to have it?